Here are some brief notes about the more practical aspects of the changes to the IB MYP that are currently foreseen. Although some schools are piloting a few of them this year, the changes are still in the planning stage and have not yet been finally approved. Although the MYP is expanding about 12% per year, there are problems of incompatibility with some national systems, which often have prescribed choices that do not fit with the subject groups of the MYP octagon. And some schools cannot run the MYP because they don't have the resources to teach the 8 groups. Although the octagon will be retained, and many schools will still provide all 8 subject groups, students will only be required to study 6 groups in MYP4 and MYP5. Although this means that there will be more options, the rigour and assessment of the MYP will be tightened. Language B will remain mandatory for all students for all years. The PP will be maintained, and moderation will become mandatory to improve global standardisation. To strengthen the MYP, an electronic externally validated summative assessment (e-assessment) will be offered, leading to an overall MYP grade, and this will replace subject moderation. (In some countries it is difficult for schools to secure state funding because of the lack of defined external assessment). Of course this external assessment implies that there must be more definable concepts in the curriculum. The individual subject guides for the new curriculum should be published before 2014, for first assessment in 2015. A majority of the present MYP schools have indicated they are in favour of the changes. Also, a survey of IB schools that run the PYP or the DP, but not the MYP, found that 91% of them would consider offering the programme if the proposed changes were implemented. This sounds like a great idea to me, I think a major failing of the MYP is its lack of standards. It's hard to take seriously a programme with no curriculum and nothing but a voluntary moderation system! Essentially it means that the grades really can't be used to compare anybody and are therefore insignificant, which is obviously really rubbish for anybody who takes it because they may as well have spent however many years making dried pasta pictures to stick on the wall for all anybody else knows. Or crazily sucking up to their teachers. 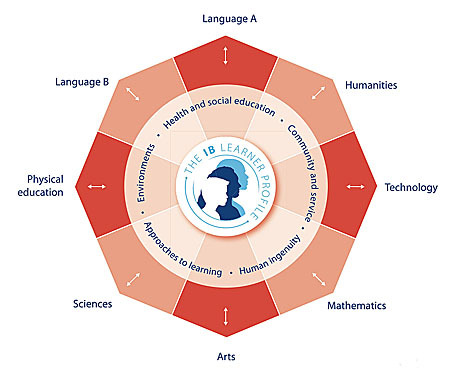 I always found it strange how the IB is properly organised at diploma level and then runs a pointless subjective americanised system for MYP. Not that the IB should win any medals for the Diploma in terms of exam stringency (about the only thing they take seriously is making sure that there are more or less no valid mitigating circumstances, whether you took the exam feeling fine or quarantined throwing up into a bucket) because they're mega lax. But at least they have external objective exams!